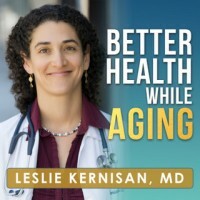 Is it possible to send an email directly to you Dr. Kernisan. It has to do with Ativan that I have been taking for sleep for the last few months. Unfortunately, Dr. Kernisan is not able to reply to emails directly or give medical advice. We suggest posting a specific question in the comments section of a related article on the BHWA site. Dr. K typically responds there in 5-7 business days. We have found this is the best way to help the most people. Thank you for your interest in Better Health While Aging and for being part of our community!